Originally from Alicante, Spain, photographer Marie Bovo now lives and works in Marseille. 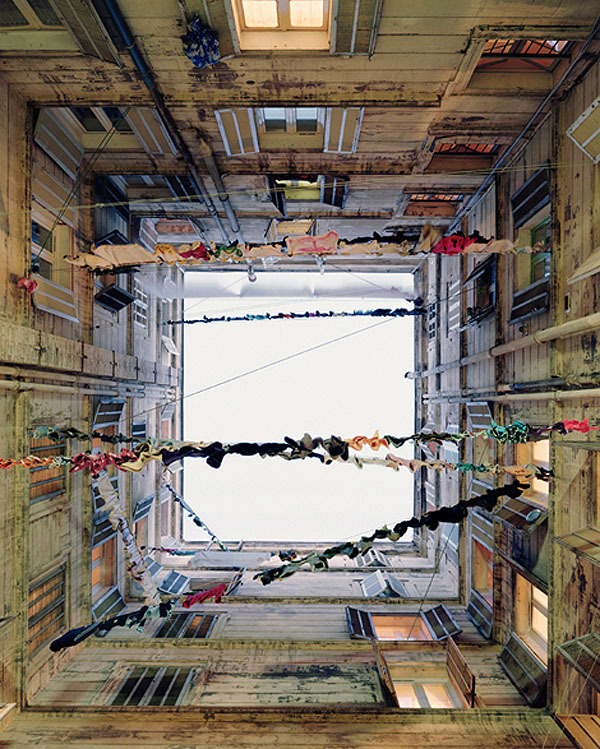 I really like her ‘Cour Intérieure’ (interior courtyard) series of photographs. 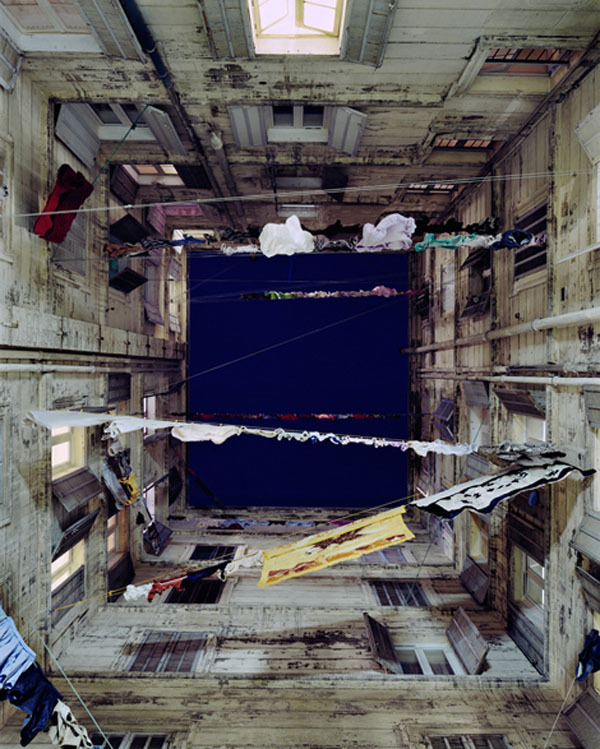 Despite its consistent theme, each one has its own personality and color scheme, with clotheslines varying in direction, capturing that particular aspect of many Mediterranean towns and cities. Such a cool perspective, too; a bottom-of-the-well sensation. Great idea for a unique series of shots.